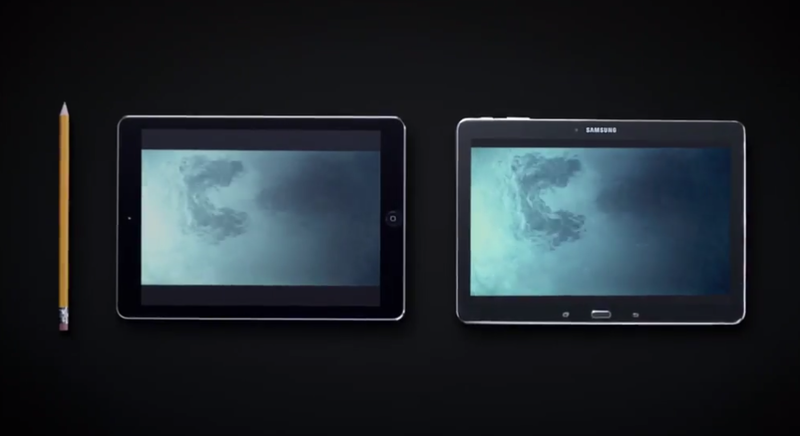 Samsung kicked off a new marketing campaign this morning using ads that show off both the Galaxy Note 3 and Galaxy TabPRO 10.1 up against Apple’s latest and greatest. They are to the point in their praise of the features filling up their Galaxy products while making sure we all know the same can’t be said for the iPhone 5s and iPad Air. They are casual in tone, at times silly, and will certainly help reinvigorate a battle we have been watching for years now. The first is of the Galaxy Note 3, and compares watching highlights of LeBron James in “full HD” on a 5.7-inch display vs. the iPhone 5s which only carries a “non-HD” 4.0-inch display. The second mocks Apple’s use of a pencil to show how thin the iPad Air is, while letting us know that their new TabPRO 10.1 is as thin with more screen real estate to do things like multi-tasking. Thoughts on the tone of Samsung’s new marketing campaign?